Steffen Bauer is a political scientist at the Deutsches Institut für Entwicklungspolitik / German Development Institute (DIE) in Bonn, Germany. A senior researcher with DIE’s “Environmental Governance and Transformation to Sustainability” programme, Steffen heads the DIE project “Klimalog: Research and dialogue for a climate-smart and just transformation”. He holds a PhD (Dr. rer. pol.) in political science from Freie Universität Berlin and a Master’s degree in political science from the University of Hamburg, Germany. He has studied political science, modern history, African studies and Anglistics at the University of Hamburg, the University of Newcastle upon Tyne, UK, and the University of Saarland in Saarbrücken, Germany. His research generally addresses questions of international organization, global environmental governance and sustainable development with a special interest in the role of the United Nations and a regional focus on Africa. His current work is concerned, in particular, with geopolitical and development implications of international climate policy, the 2030 Agenda for Sustainable Development as well as transformative dynamics and related concerns of equity and justice in the context of global environmental change. Steffen was Germany’s Science and Technology Correspondent to the United Nations Convention to Combat Desertification (UNCCD) from 2009-2017, and a researcher for the German Advisory Council on Global Change (WBGU, 2006-2011). He also was a member of the T20 Task Force on Climate Action and Infrastructure for Development, the Global Soil Week’s National Support Group, the scientific advisory council of the “Climate Change and Democracy” research group of the Institute for Advanced Studies in the Humanities at the University of Duisburg-Essen, and the scientific advisory board of children’s rights NGO “terre des hommes” (German section). 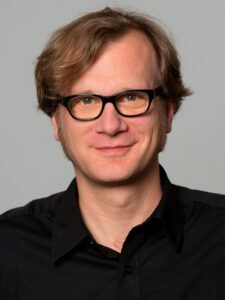 Steffen also was Co-Chair of the 12th and the 10th Berlin Conference on the Human Dimensions of Environmental Change, co-hosted by DIE and Freie Universität Berlin in May 2016 (Transformative Global Climate Governance “après Paris”) and October 2010 (Social Dimensions of Environmental Change and Governance) respectively. He has published widely in academic and policy journals, including Climate and Development, Global Environmental Change, Global Environmental Politics and Journal of Environment and Development. He is one of the lead authors of “Managers of Global Change: The Influence of International Environmental Bureaucracies” (2009, MIT Press) and co-editor of “Adaptation to Climate Change in Southern Africa: New Boundaries for Development” (2010, Earthscan), and “A World Environment Organization: Solution or Threat for Effective International Environmental Governance?” (2005, Ashgate). Moreover, he has been a peer reviewer for the Millennium Ecosystem Assessment, the United Nations’ Global Environment Outlook and for a host of academic journals. In 2005 he was awarded the Graduate Student Best Paper Award by the Environmental Studies Section of the International Studies Association. Steffen has taught International Relations at Technische Universität Darmstadt, Westfälische Wilhelms-Universität Münster, Freie Universität Berlin and the University of Hamburg. He is a senior research fellow of the Earth System Governance (ESG) project, an associate researcher of Freie Universität’s Environmental Policy Research Centre (FFU) and professionally affiliated to the International Studies Association (ISA), the German Association for Political Science (DVPW) and the German Association for the United Nations (DGVN).